6:15 to 6:45 pm - Special presentation by Laurie Moseley, Conventions & Visitors Bureau. Refreshments, Meet & Greet - vote Mini Show! As a young woman, her B.A. in fine arts from the University of Texas at Tyler took a backseat to the corporate world for many years: advertising exec; graphic designer and art director of her own company; and later corporate and executive recruiter. Not surprisingly, she was recognized in national competitions for her print design and annual reports, but shortly after her move to Denver in 1994, the satisfied extrovert began to hear from the starving artist. She says she “felt like her soul was drying up”. An oil-painting class at the Art Students’ League of Denver rained water on that desert ground. Over the next five years, Melinda studied painting at the League under the guidance of master painters like, Quang Ho, Kim English, Kevin Weckbach, and Ron Hicks. 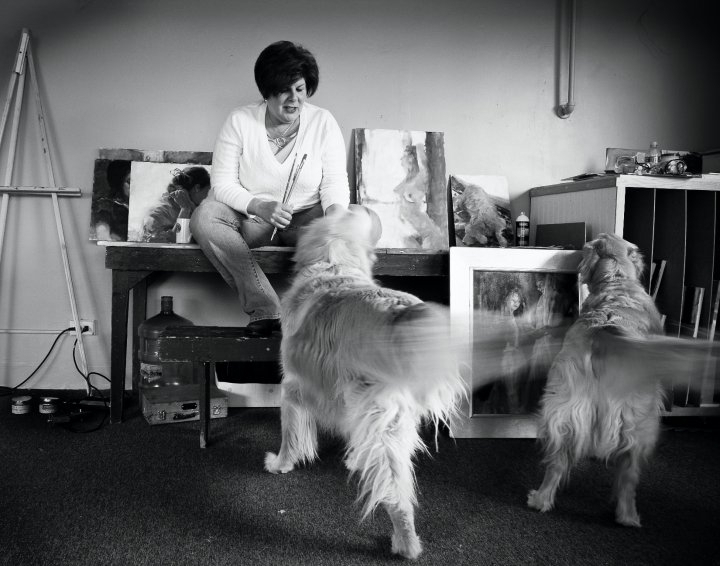 As her passion and skill grew, so did her dream to paint full-time. She made the leap in 2003 and brought years of corporate skills into the new and intricate dance of a full-time professional art career. She hasn’t looked back. 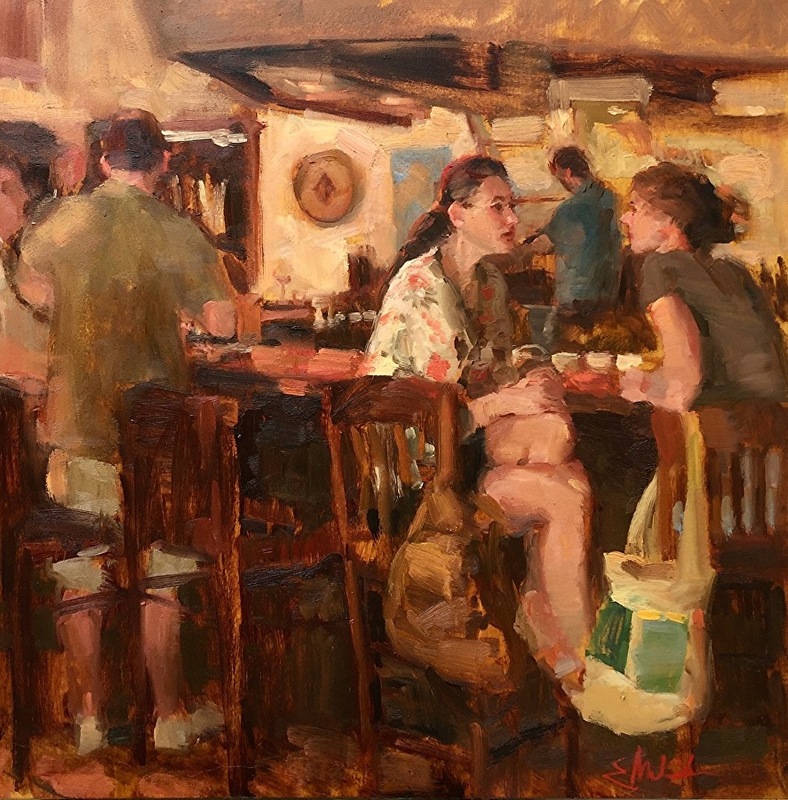 Since that decision, Melinda has participated in numerous one woman shows, national and regional shows, and plein air events in the Southwest and Southeast gaining recognition for her figurative paintings. She is a gifted teacher of workshops and is collected among collectors all across US. Melinda is an Associate Member of Oil Painters of American, Outdoors Painters Society and the Portrait Society of America. She is currently represented by Alexandra Stevens Fine Art, Santa Fe, NM; Arts at Denver, Denver, CO; Texas Treasures Fine Art, Boerne, TX, and OA Gallery, Kirkland, MO. Melinda has been featured in articles in national and regional magazines and newspapers such as Southwest Art, American Art Collector, the Santa Fean Magazine, El Paseo De Tiempo (Santa Fe) and the Albuquerque Journal. BE THERE...ART ON THE SQUARE!